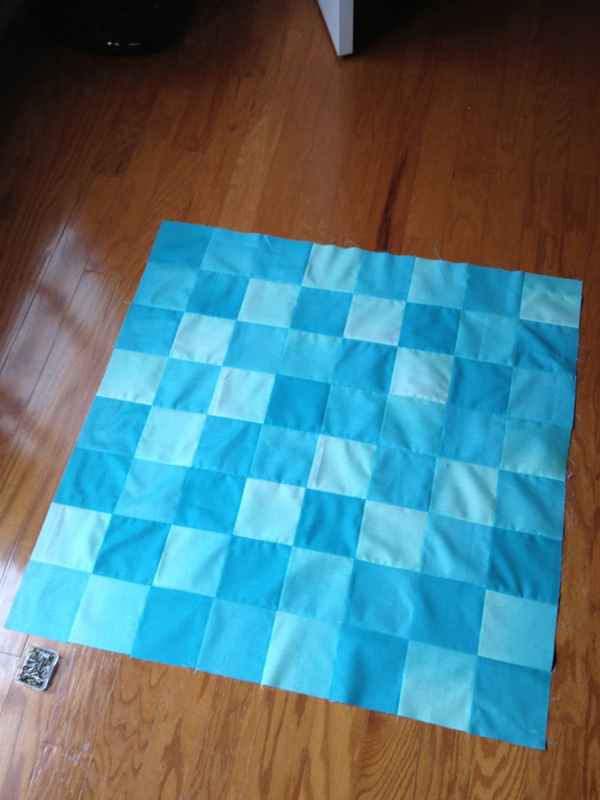 This weekend I got a good amount of quilting done. 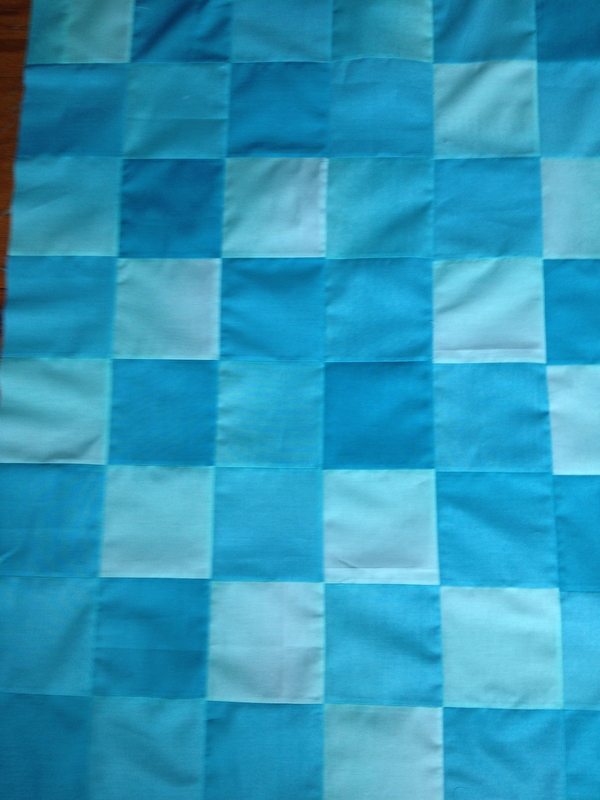 I took the squares I cut last week and finished the quilt top for the third and final ombre quilt for Rock Paper Scissors. After all that repetition, I needed to do something a little more improvisational. I’ve been reading a lot about free motion quilting designs and decided to try a few more. I was short on time, but I made one feather and filled in the negative space with pebbles. They’re definitely not exactly what I’d hoped, but I’m really proud of my first effort, especially the pebbles. My feather looks a little like limp seaweed. I can’t wait to keep practicing. I’ve really been enjoying playing with my free motion quilting, and I’ve learned the the most important thing to do is practice, practice, practice. Here’s to a good week. Thanks for stopping by. Wow, thanks for the PR! It’s strange but good to hear things like that. 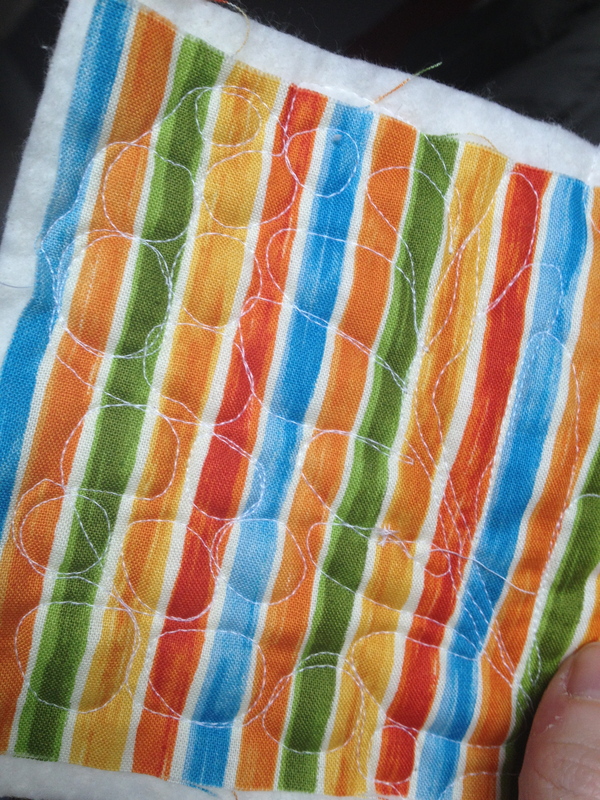 Quilting has been so good for me and so much fun that I can’t wait to share some of the stuff I’ve learned. I love ‘limp seaweed’ – I think it’s a new design! 😀 you crack me up.